Flowers for the Cabin...our cabin...our log home we would someday be building on top of the mountain. 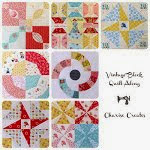 These were some of my thoughts as I worked on the design for this quilt block. 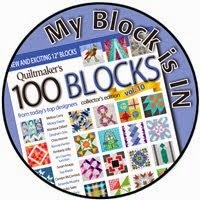 In the early summer of 2014 I was brainstorming on a new quilt block to submit to Quiltmaker's 100 Blocks magazine. 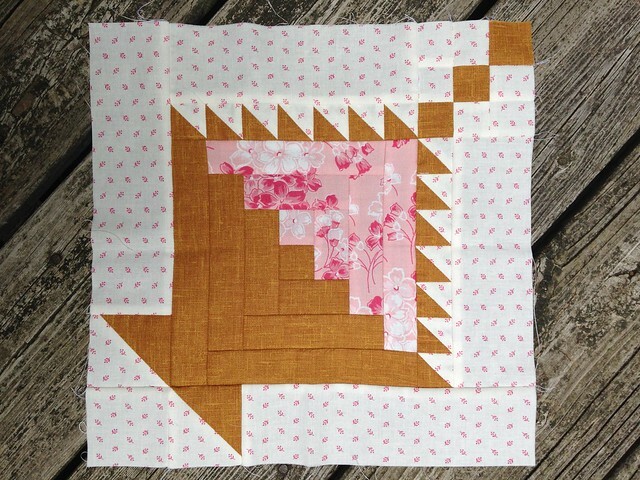 I was fresh off my first success with my Dashing Geese block, and wondering if it was possible that I could come up with another original design. Was it just a fluke that I could actually come up with an original design? 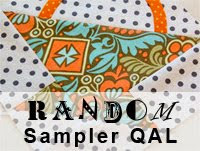 How on Earth was I ever to think up another one...because...because, well, I'm not a designer. I was looking everywhere I could think for inspiration, flickr, Instagram, Pinterest. Search, search, search. And when I finally came up with an idea what if I just thought I was creating an original design and someone, somewhere, actually already came up with the same idea? How could I be positive it was really my design? And golly...just where was an idea going to come from? 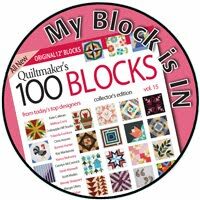 One day I was looking at Pinterest and I came across a sweet little basket quilt block. At first glance I thought the basket was made up from a log cabin block. But on closer inspection I saw that it was not. 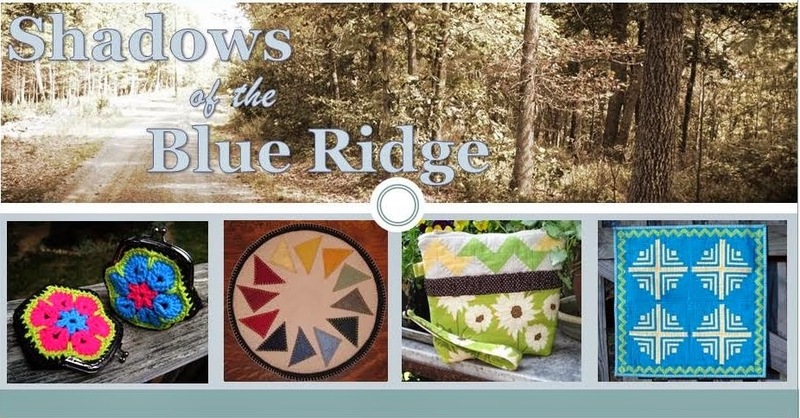 All of a sudden I started thinking...what if I made a basket block with a log cabin construction and used floral fabric for half of it so it looked like a basket of flowers? 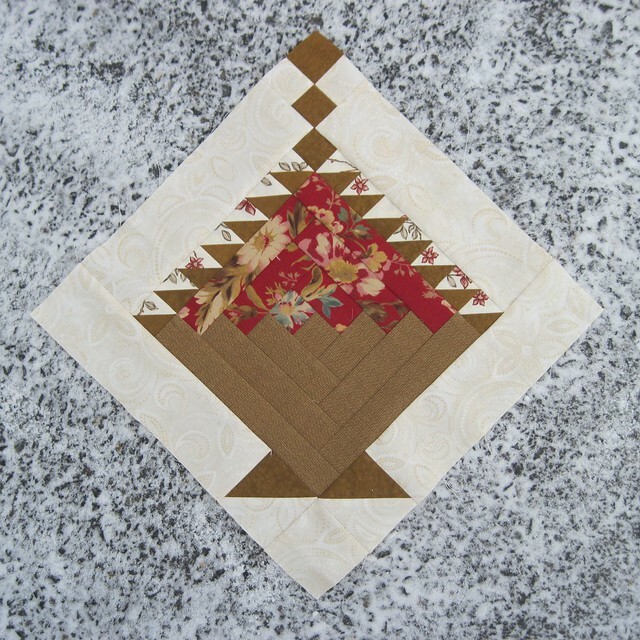 A basket of flowers in a log cabin quilt block...a basket of flowers for our log cabin! Now I was really excited! As I always do I pulled out my sketchbook and started to draw up my idea. 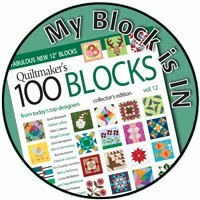 Quiltmaker's requires all blocks to be 12.5" square and for this to work this block was going to require some mighty small pieces. Especially the 1" half square triangles. Wow...this was going to be hard! Even after I finally had it sketched out to the required size I still had to figure out how to assemble it. Goodness knows this kind of a challenge has got to be good for my brain! 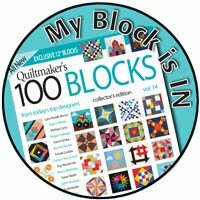 Once I actually got my block stitched together I was pretty proud of myself, and excited to send it to the magazine to see if they would include it in their next issue. About four months later I heard back that it was not going to be included. 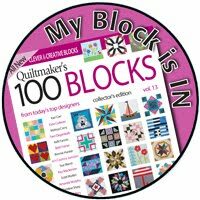 They send a personal response to you noting how they receive many more blocks than can be included, and how a good balance of blocks (similarity/contrast to other blocks) is needed, and note space limitations for patterns (construction needs to be simple - limited to 1/2 a magazine page). I was disappointed, but understood that not every idea is going to be a good one or suitable for a particular magazine. 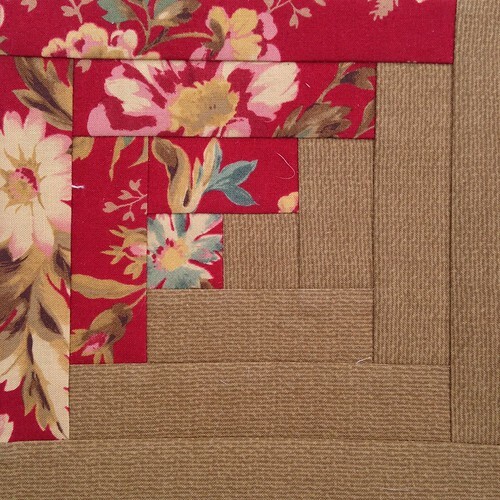 My Flowers for the Cabin block has some small piecing, and for the floral log cabin part to work pretty specific fabric is needed. So, I tucked my pattern away with my other designs and moved on. 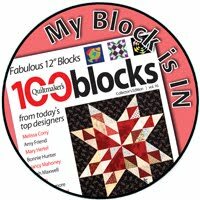 As I'm working on my Random Sampler I really want to include all of the blocks I've designed, including this one. 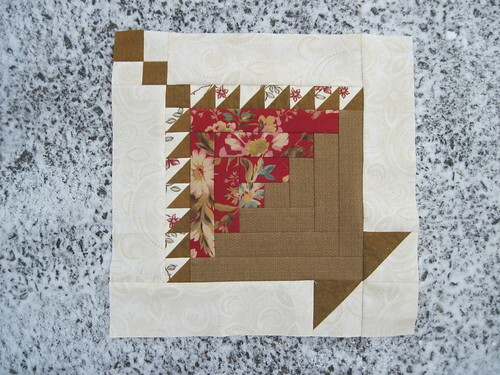 I did a bit of shopping for floral fabric that looks more autumnal and made up another block - simplifying the construction a bit on the "chain" portion, and extending some flower vines and blooms into the half square triangles. 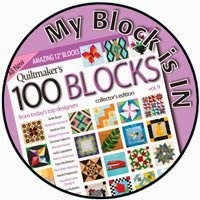 I believe I like this block even better than my original. Flowers for the Cabin will be making it's way into the quilt I'm making for our log cabin home and I couldn't be happier!